Trending at $24.00eBay determines this price through a machine learned model of the product's sale prices within the last 90 days. 2007-2014 CADILLAC ESCALADE ESV. 2007-2014 CADILLAC ESCALADE. 2007-2014 CADILLAC ESCALADE EXT. 9594877 ,9594878, WCA-107, 550074, F104-15,4575,4584. ESCALADE ESV 04 20x8-1/2 (opt PD0). ESCALADE ESV 05-06 20x8-1/2, factory (opt PD0). 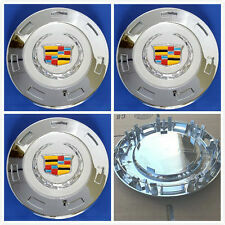 Will fit CADILLAC ESCALADE 2003 ,2004,2005, 2006 from the 17" and 20" wheels. 2007-2015 CADILLAC ESCALADE ESV. 2007-2015 CADILLAC ESCALADE. 2007-2015 CADILLAC ESCALADE EXT. 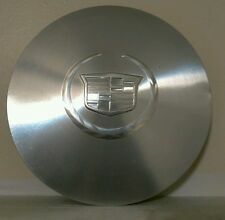 SET OF 03-06 ESCALADE EXT/ESV WHEEL CENTER CAP. NEW FOR CADILLAC WHEEL CENTER HUB CAP 2007-2014 ESCALADE EXT ESV 22" 9596649. 2007-2014 CADILLAC ESCALADE ESV. 2007-2014 CADILLAC ESCALADE. 2007-2014 CADILLAC ESCALADE EXT. Our Services. Part number on cap: 9595891 C0601. The price is for each (1) center cap. There are multiple wheel options for each year, make and model. Condition: New. 2003-2006 Cadillac Escalade. 2003-2006 Cadillac Escalade EXT. 2003-2006 Cadillac Escalade EXV. High quality is Our Culture ! ESCALADE ESV 04 20x8-1/2 (opt PD0). ESCALADE ESV 05-06 20x8-1/2, factory (opt PD0). See picture for details to be sure this is the style you need. There are multiple wheel options for each year, make and model. 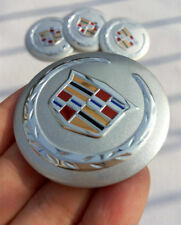 Genuine GM OEM Parts & Accessories 100% Satisfaction! The part number off the back is: 9595891. 9595891 SET. (1) Set of 4. Suburban Wheel Cover has been serving the automotive industry since 1980. Our policies are as follows. ESCALADE ESV 04 20x8-1/2 (opt PD0). ESCALADE ESV 05-06 20x8-1/2, factory (opt PD0). See picture for details to be sure this is the style you need. 2009-2014 Cadillac Escalade ESV. There are typically 3 mold numbers on the back: 9597355, 9598295 and 9598677. This is the version that has a colored Cadillac logo. The price quoted is per center cap and the one shown is in comparable condition to the one you will get. 2007-2014 Cadillac Escalade / Escalade ESV / Escalade EXT with 18" Machined Finish Wheel Only. Here is a decent condition used center cap for the following Cadillac Escalade trucks 2007-2014 Cadillac Escalade. See pictures for details to be sure this is the style you need. Does not have the Cadillac crest in the middle. Great if using these wheels on your Chevy or GMC. There are multiple wheel options for each year, make and model. ESCALADE ESV 04 20x8-1/2 (opt PD0). ESCALADE ESV 05-06 20x8-1/2, factory (opt PD0). 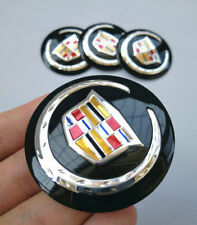 The custom emblem is smaller and different from the original Cadillac emblem. The price is for each (1) center cap. Part Number : 9597355, 9598295, 9598677. Part Numbers : 9597355, 9598295, 9598677. 09 10 11 12 13 14 Cadillac Escalade ESV EXT OEM Center Hub Cap. 2009 to 2014 Cadillac Escalade. 2009 to 2014 Cadillac Escalade ESV. Cadillac Escalade 2005. Cadillac Escalade 2007. Cadillac Escalade 2008. Cadillac Escalade 2009. Cadillac Escalade 2010. Cadillac Escalade 2011. Cadillac Escalade 2013. Cadillac Escalade 2012. ESCALADE ESV 04 20x8-1/2 (opt PD0). ESCALADE ESV 05-06 20x8-1/2, factory (opt PD0). This does NOT have the Cadillac emblem. The price is for each (1) center cap. The part number off the back is: 9595891. The price quoted is per center cap. 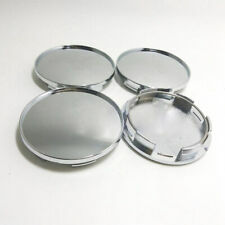 (1) Single Center Cap. Why You Should Buy From Us. Suburban Wheel Cover has been serving the automotive industry since 1980. See pictures for details to be sure this is the style you need. Does not have the Cadillac crest in the middle. Great if using these wheels on your Chevy or GMC. The price is for each (1) center cap. ESCALADE ESV 10-14 22x9, 7 spoke. ESCALADE ESV 07-08 22x9, 7 spoke. ESCALADE 10-14 22x9, 7 spoke. ESCALADE EXT 10-13 22x9, 7 spoke. ESCALADE 07-08 22x9, 7 spoke. ESCALADE EXT 07-08 22x9, 7 spoke. See pictures for details to be sure this is the style you need. These are new and fit the 20" and 22" GM accessory wheels that ran from 2002 through the 2014 model year. NOTE: Images of wheels are for informational purposes only; wheels are obviously not included. They fit 2002-2006 Cadillac Escalade 17" Factory OEM rims. 2003-2006 Escalade, ESV, EXT. 2004 Cadillac Escalade. Make sure to inspect the itemTHOROUGHLY using the information and pictures above before buying. MAY ALSO FIT OTHER YEARS, MAKES AND MODELS. Trending at $39.49eBay determines this price through a machine learned model of the product's sale prices within the last 90 days. ESCALADE 02 17x7-1/2. ESCALADE 03-06 17x7-1/2, (aluminum), machined finish (opt N93). ESCALADE ESV 03 17x7-1/2, (aluminum), machined finish (opt N93). ESCALADE ESV 04-06 17x7-1/2, machined finish (opt N93). The Cadillac Escalade EXT is a luxury pickup truck that offers a sleek look, great towing capabilities, and a smooth ride, making it a great everyday truck. Wheel center caps may be small, but they add to the overall aesthetics of your vehicle. 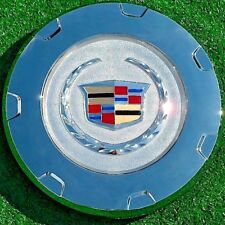 There are many Cadillac Escalade wheel center caps to choose from, varying in design, material, color, and more, ensuring that you can find a great option for your Escalade. How do you replace wheel center caps on an Escalade? Replacing the center caps on the wheel of your Cadillac Escalade EXT is a simple task that you can do at home. The process of installing these accessories may vary slightly depending on the specific hubcaps you have and the accessories you will be installing. Many vehicles require you to take off the entire wheel to remove the old wheel center cap, but on most, this piece can simply be popped off using a pry tool or flathead screwdriver. If you want to keep the old cap, use caution when removing it to make sure that it doesn't dent or crack. Grab your new cap and line it up in the desired position on the wheel over the hubcap. Simply push the cap inwards until it clicks in place. You may need to use some force to do this. What is the purpose of wheel center caps? 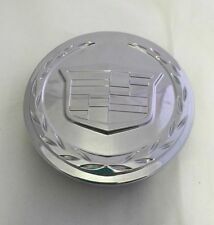 These center cap parts serve a mainly aesthetic purpose, adding a unique touch to your Cadillac and covering the large lugs that are visible from the center of the hubcap. However, in covering these lugs, the caps help protect these metal pieces from the dirt and water that may cause them to rust in the long run. If your center caps become damaged or fall off, it is not required to replace them, but for looks and extra protection, it’s a good idea. What are center caps made out of? Center caps may be made from a variety of materials, providing various looks for your Cadillac Escalade wheels. Each type has its own benefits. Older caps can be found in a variety of metals, such as stainless steel and copper. Contemporary center caps are often made of plastics and lighter metals, such as aluminum and chrome. There are also somewhat rare varieties that may be made of materials such as wood and fiberglass. How do you pick the right center caps? Take measurements of the depth and inner and outer diameter of the old center cap. You can also find options that fit by searching based on the model and year of your Escalade EXT and the wheel size. Consider the material you want and weigh the benefits of each one. 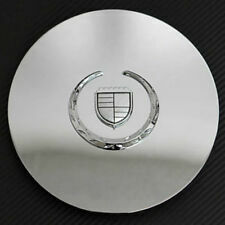 Make your decision after looking at the design of the wheel center cap for your Cadillac Escalade. These parts come in a variety of colors, with logos, custom emblems, and features, including spikes, spinners, and more.